standards that are part of our mission. access to town for shopping. The guest lodge is centrally located. for business or pleasure. With a unique comfortable layout, hospitality and wonderful service. Quality accommodation, excellent service and distinctive ethnic décor in elegant surroundings. We offers a delightful range of beauty therapies and spa treatments to pamper and indulge you. We provide professional catering services and menus that have been planned to the finest detail. We have a facility for Conference Center that offers tranquil environment, our facilities offer you everything you need. The 4 Star Lilitha Guest House offers friendly hospitality, excellent service and distinctive ethnic decor in beautiful surroundings. Our cosy en-suite rooms are fully equipped with fridges, tea/coffee facilities, DSTV and heaters. At Lilitha we offer menus that have been planned to the finest detail. Our pride shines through in the presentation and quality of our mouth-watering meals and our dedicated staff live up to the standards that are part of our mission. A delicious breakfast is served. Lunch, lunch packs, dinner or braais are available on request. Rejuvenate your body, regain yourself and revive your spirit with our spa. Ladies and gentlemen welcome. Our facilities offer you everything you need for your conference, meeting, training, interview or strategic planning session, all with electronic presentation equipment. The venue seats 70 people comfortably. We love kids and ensuring that their birthdays are special is our priority. We cater for all ages. Best place in Butterworth. Clean, safe, and quiet in the CBD. Comfortable en-suite rooms with dstv, coffee/tea stations and Wi-Fi. I'm booking here again next time. Friendly staff. Although a simple place I found it to be very clean comfortable and very friendly and helpful staff. I recommend it whole heartedly. The rooms are amazing, nice and clean, the breakfast and dinner is devine, by far one of the best places to stay! Excellent facilities, lovely rooms, good food, great service. So professional and welcoming environment. Excellent chefs. Neat rooms and fresh linen everyday. It's a real home away from home. Keep up the good work guys that's was great!! Well appointed facilities and amenities. 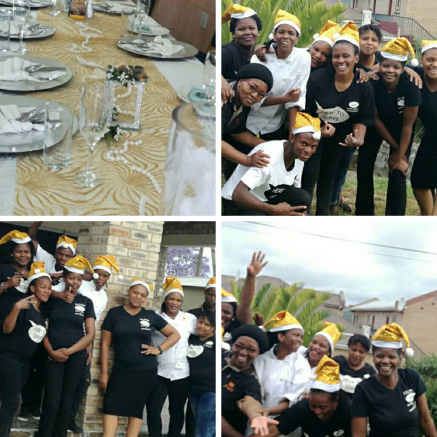 Lilitha Designs and Creations cc is trading as Lilitha's Guest Lodge & Conferencing, a leading accommodation, conferencing, spa and catering venue in Butterworth, Eastern Cape, South Africa.